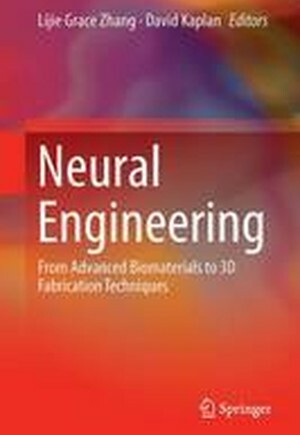 This book covers the principles of advanced 3D fabrication techniques, stem cells and biomaterials for neural engineering. Renowned contributors cover topics such as neural tissue regeneration, peripheral and central nervous system repair, brain-machine interfaces and in vitro nervous system modeling. Within these areas, focus remains on exciting and emerging technologies such as highly developed neuroprostheses and the communication channels between the brain and prostheses, enabling technologies that are beneficial for development of therapeutic interventions, advanced fabrication techniques such as 3D bioprinting, photolithography, microfluidics, and subtractive fabrication, and the engineering of implantable neural grafts.There is a strong focus on stem cells and 3D bioprinting technologies throughout the book, including working with embryonic, fetal, neonatal, and adult stem cells and a variety of sophisticated 3D bioprinting methods for neural engineering applications. There is also a strong focus on biomaterials, including various conductive biomaterials and biomimetic nanomaterials such as carbon-based nanomaterials and engineered 3D nanofibrous scaffolds for neural tissue regeneration. Finally, two chapters on in vitro nervous system models are also included, which cover this topic in the context of studying physiology and pathology of the human nervous system, and for use in drug discovery research. This is an essential book for biomedical engineers, neuroscientists, neurophysiologists, and industry professionals.